Notes: All timings are represented in 12-hour notation in local time of New Delhi, India with DST adjustment (if applicable). Hours which are past midnight are suffixed with next day date. In Panchang day starts and ends with sunrise. Parana means breaking the fast. 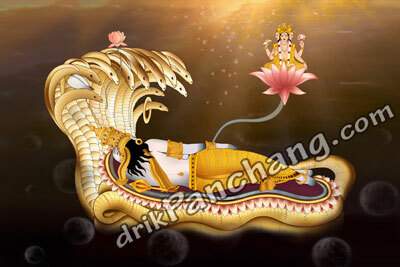 Ekadashi Parana is done after sunrise on next day of Ekadashi fast. It is necessary to do Parana within Dwadashi Tithi unless Dwadashi is over before sunrise. Not doing Parana within Dwadashi is similar to an offence. Parana should not be done during Hari Vasara. One should wait for Hari Vasara to get over before breaking the fast. Hari Vasara is first one fourth duration of Dwadashi Tithi. The most preferred time to break the fast is Pratahkal. One should avoid breaking the fast during Madhyahna. If due to some reasons one is not able to break the fast during Pratahkal then one should do it after Madhyahna. At times Ekadashi fasting is suggested on two consecutive days. It is advised that Smartha with family should observe fasting on first day only. The alternate Ekadashi fasting, which is the second one, is suggested for Sanyasis, widows and for those who want Moksha. When alternate Ekadashi fasting is suggested for Smartha it coincides with Vaishnava Ekadashi fasting day. Ekadashi fasting on both days is suggested for staunch devotees who seek for love and affection of Lord Vishnu.